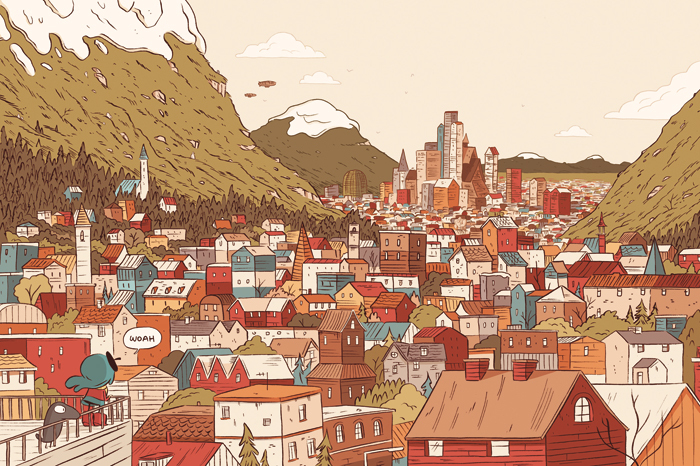 Nobrow is up in Canada this weekend for TCAF, and we have plenty in store for our neighbors to the north! Hosted at the Toronto Reference Library, TCAF is one of the biggest events for showcasing the latest and greatest in comics and graphic novels. Nobrow’s cofounder and creative director Alex Spiro will be joining Calista Brill (First Second), Scott Dunbier (IDW), James Lucas Jones (Oni Press), and Casandra Pelham (Scholastic/Graphix) in a discussion with Brigid Alverson (Comic Book Resources) about the role of contemporary comics editors. 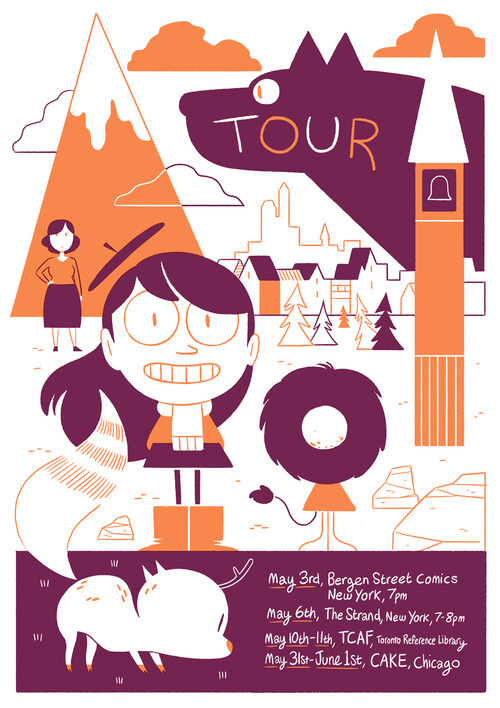 Saturday May 10, 1:30pm – 2:30pm at TCAF Kids’ Day @ St. Paul’s on Bloor – How to Draw Hilda! 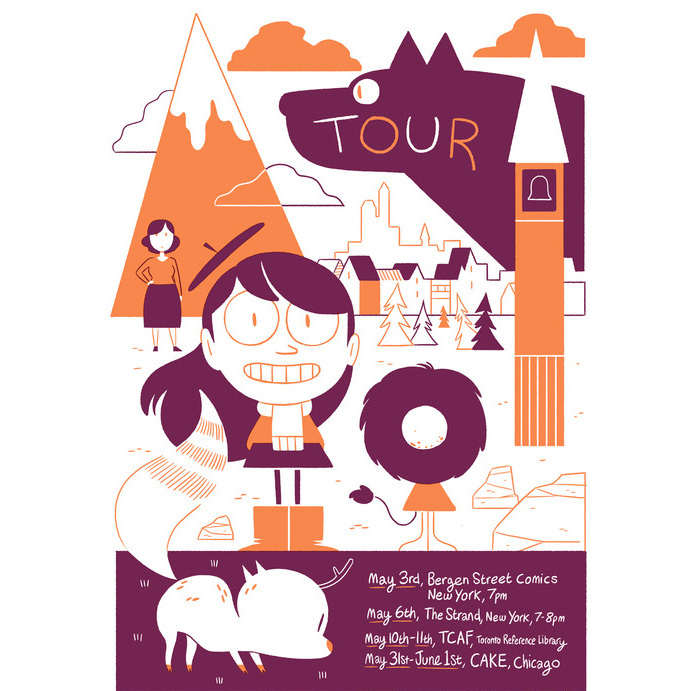 Eisner Award-nominated cartoonist Luke Pearson will be hosting a special presentation where he will teach you how to draw the famous Hilda, star of the latest book in the Hildafolk series, Hilda and the Black Hound, debuting this weekend at TCAF! 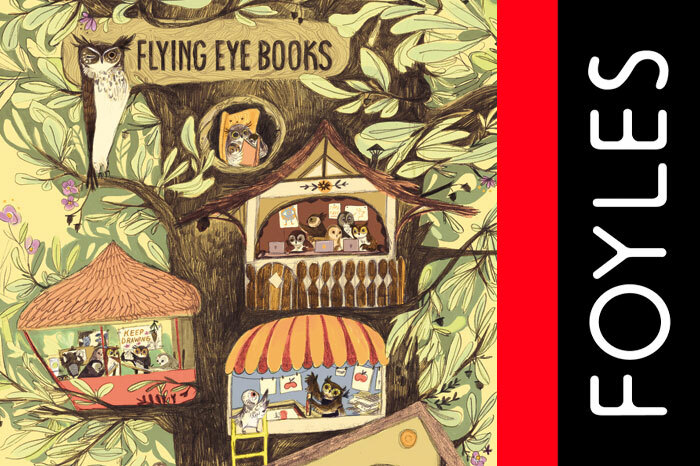 Nobrow’s Tucker Stone will be speaking with a pack of notable small-press underdogs from Koyama Press, Secret Acres, and Uncivilized Books about all the nitty-gritty details behind the glamorous life of small press publishing. Nobrow will be at Tables 178-179 all weekend, so please stop by and say hello to our special guests Luke Pearson (Hildafolk series) and Jesse Moynihan (Forming series)! Make sure you get to the one in your city! 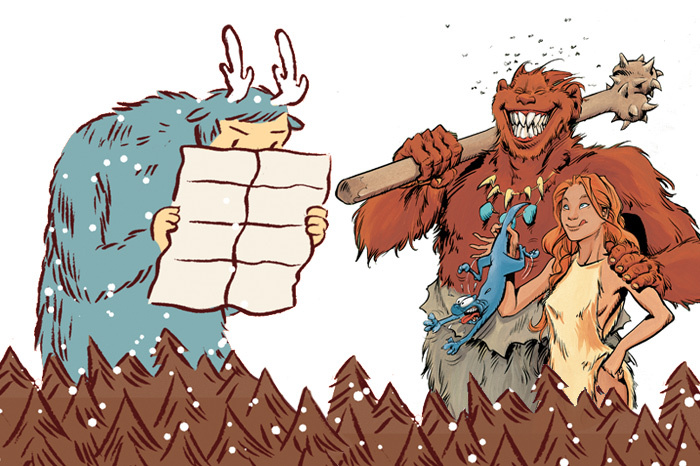 Hilda and the Bird Parade is very nearly here! Also we wanted you all to know that the exhibition of Luke’s original artwork from the book *as well as the book itself! 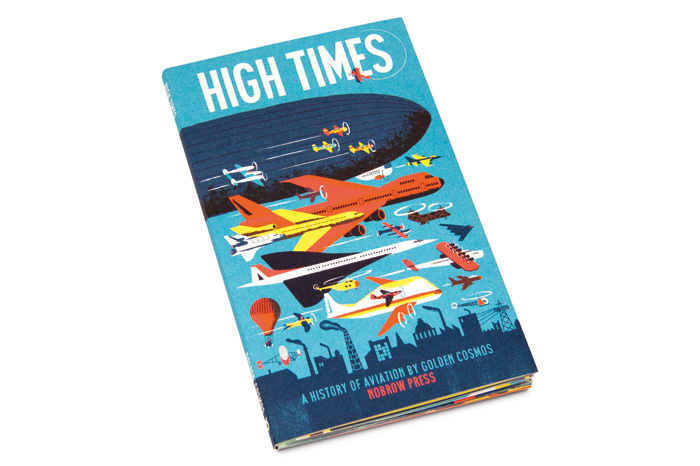 * will be on at Foyles for another week, so don’t miss your opportunity to see it and if you want a sneaky peek of the beautiful hardback book that too, by heading on down to Foyles on Charing Cross Road. The making of Megaskull from Lisa Finch on Vimeo. The fantastic Lisa Finch has had the privilege of witnessing the making of Megaskull for a number of months now and she kindly decided to share it with you lot too in this beautiful short film featuring the skating, art-making sensation that is Kyle Platts. If you can’t make it tonight to the exclusive launch where we’ll be giving away these gorgeous mini prints free, you’ll be able to order them online from tomorrow noon. The first 100 orders get the free print so make sure you don’t waste any time! 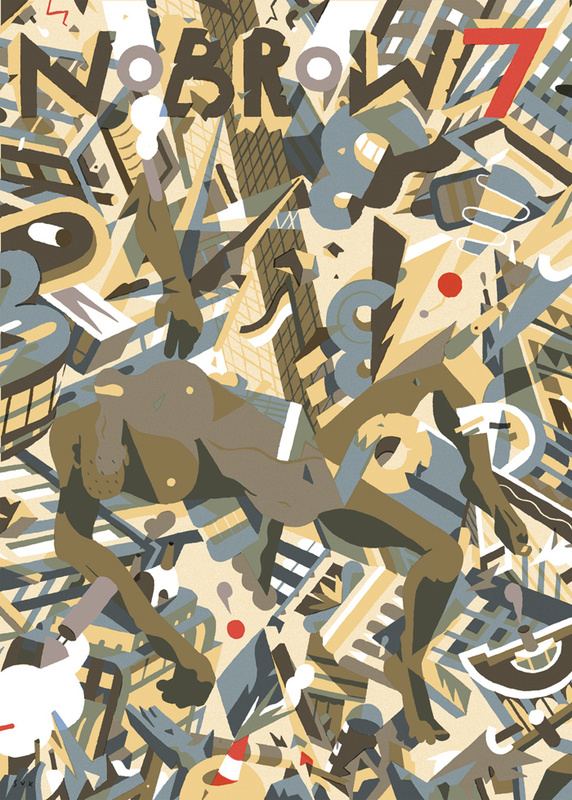 Nobrow 7: Brave New World on Preorder now! Free poster promotion! 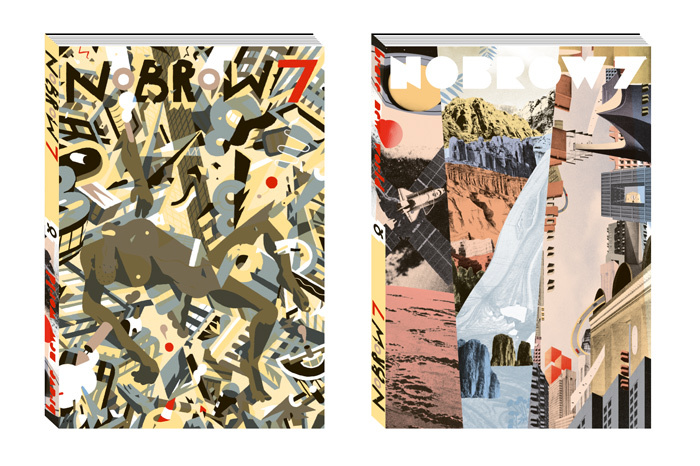 You’ve all been waiting, well the pre-order for Nobrow 7 is finally available! If you make yours now, you could be lucky enough to get a free A2 poster by either Sam Vanallemeersch or Eda Akaltun, be quick though because there are only 300 to give away! Featuring 128 pages of full spot colour artwork with over 60 pages of Comics from the leading talents in the field from all over the world as well as 60 pages of the best in contemporary illustration! 45 Creative visionaries take on the theme to produce cutting edge comics and illustration in this fantastic large format anthology that has taken the illustration and comcis world by storm. 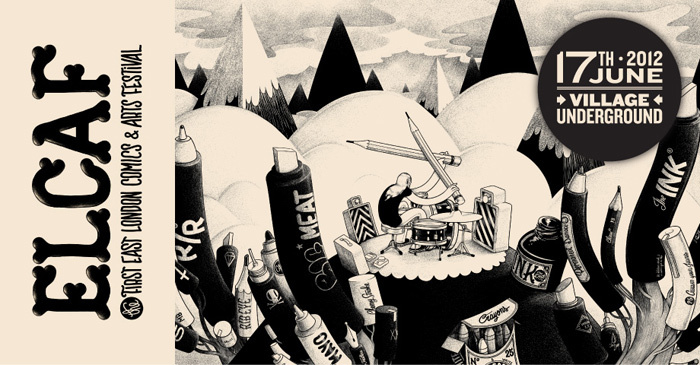 With contributions from a group of artists that reads like the guest-list of an illustration/comics super-festival: Joost Swarte (Is That All There Is?, Fantagraphics), Tom Gauld (Goliath, D&Q), Jillian Tamaki (Indoor Voice, Drawn & Quarterly), Luke Pearson (Hilda and the Midnight Giant, Nobrow), Anders Nilsen (Big Questions, D&Q), Joseph Lambert (Winner of Ignatz award categories for ‘Outstanding Anthology or Collection’ and ‘Outstanding Artist’ awards for I Will Bite You), Ethan Rilly, Eda Akaltun, Andrew Rae, Rob Bailey, Henry McCauseland, Domitille Collardey, Michael DeForge, and many, many more, Nobrow 7 will exceed your expectations beyond measure. Tantalising isn’t it? Well if you want to see precisely who these guys are, you’ll have to make sure you make it to the opening of Felt Mistress and Jonathan Edwards’ show at Nobrow gallery this Thursday at 6pm. 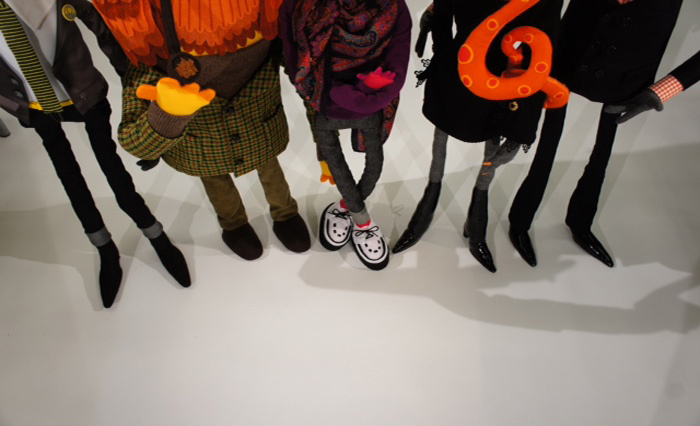 There, FM will be displaying her latest slew of colourful and expertly crafted characters, including the glamorous Hester Flent and the stylish Anton Tretcher, and a whole bunch of meter long beetles… All the cool felt folk will be there, will you? Hey! Who’s this Guy? by Felt Mistress and Jonathan Edwards opens at Nobrow Shop and Gallery, 62 Great Eastern Street, on Thursday the 18th of May, PV 6pm-9.30pm, RSVP if you haven’t already! Get Excited! 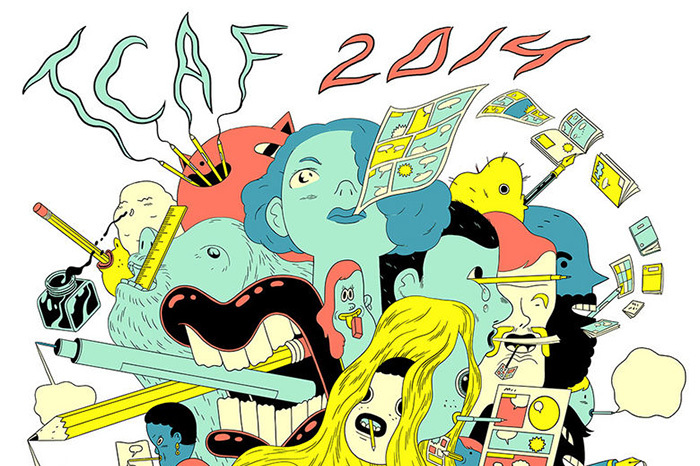 Nobrow 7 to be released at ELCAF! You’ve been waiting with bated breath I’m sure, well the wait isn’t for much longer because on the 17th of June, at ELCAF, we’ll not only be launching Nobrow 7: Brave New World, but also Blexbolex’s much anticipated graphic novel, 3 years in the making! Not enough, you say? Well, we would be loath to disappoint, so we are also releasing the second and final installment of FIGHT! 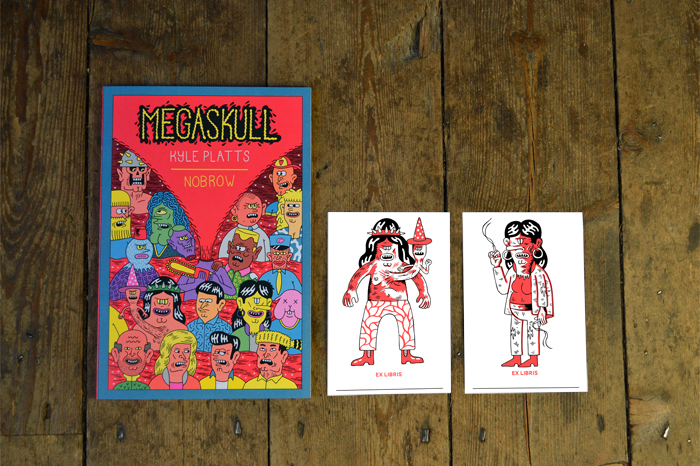 by Jack Teagle, who will be signing and drawing in your fresh copies of the book at the comics fair. That’s three releases on one day! Don’t tell us you’re appetite hasn’t been whetted… Nobrow 7: Brave New World Pre-order launches next monday, each will come with one of two beautiful free A2 posters, there’s a limited number so make sure you get your pre-orders in early! watch this space! 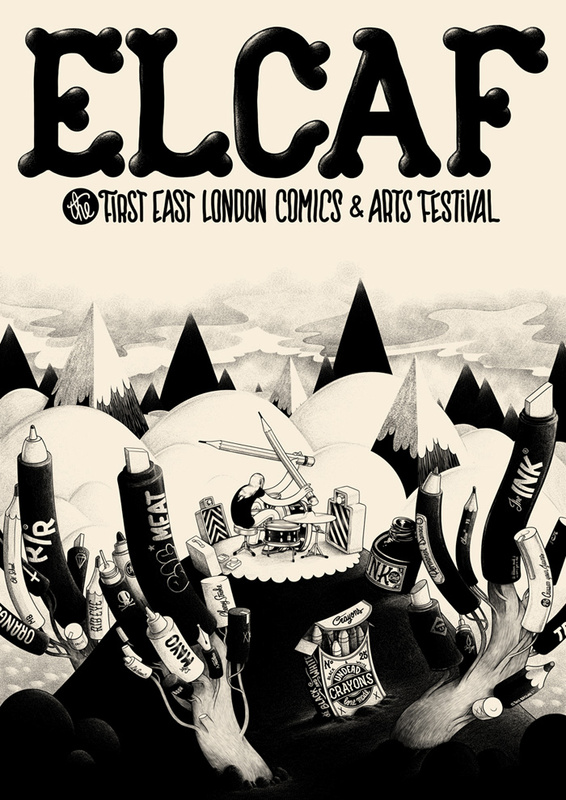 ELCAF is officially cemented in the social calendar, everyone keep the 17th of June free it is going to be a comics and arts festival like no other, trust us! With McBess as the artist in residence; live drawing relay races from Luke Pearson, Jack Teagle, Kyle Platts, and many more; a process talk by the unbelievable award winning talent that is BLEXBOLEX, chaired by the man at the crossroads himself Paul Gravett; 600 second interviews from Avoid the Future; a kids workshop organised by Anorak Magazine; Screenings by Nexus; panel discussions with Karrie Fransman, Darryl Cunningham and Simone Lia; stalls from the very best comics publishers, including Jonathan Cape, SelfMadeHero, Blank Slate, Nobrow (of course! 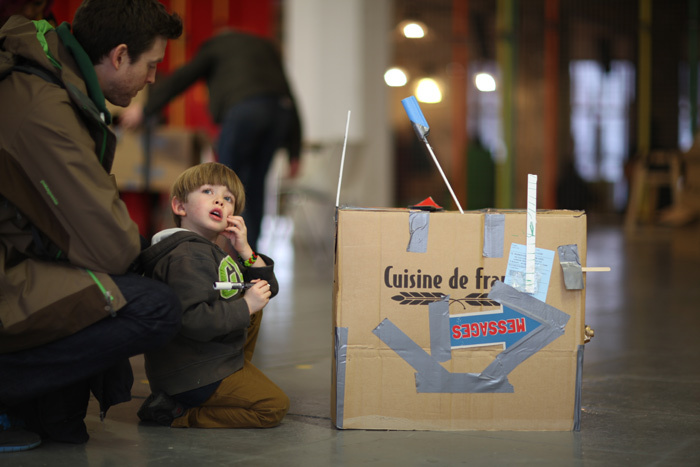 ), Knockabout, Landfill Editions, Solopsistic Pop, WAWAP, the list goes on…; AND!!! a ticketed concert featuring the Dead Pirates, the Vuvuvultures and a special guest running from 8 ’til late, there is honestly nothing to top it! We are working hard to put an official program online next week, but in the mean time spread the word, make sure you and everyone you know comes! This is the start of something beautiful, don’t miss it!!!!!!! !